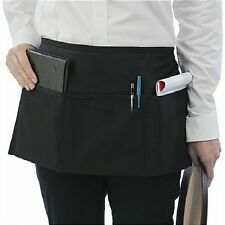 2 waitress waiter server 3 pocket waist apron, black 100% commercial grade! FAST SHIPPING FROM THE USA BEST DEAL GUARANTEED! 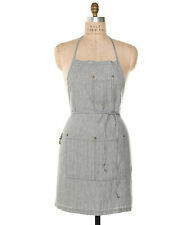 YOU ARE PURCHASING (1) NEW~ WAITRESS APRON 19"(w) x 11"(h). 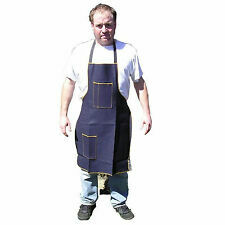 THESE ATLANTIC DESIGNS APRONS ARE MADE OF A HEAVY DUTY PREMIUM GRADE SPUN POLYESTER GREASE AND STAIN RESISTANT. 100% POLYESTER LAST 2X LONGER THAN TRADITIONAL SPUN POLYESTER. Simple and practical design, comfortable to wear, and easy to clean. (4) Local pick up is not available. 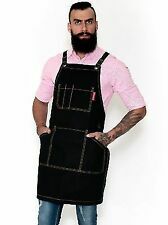 Apron is perfect for yard work, garage sales, BBQ's etc. Will fit an adult. Mom, Dad or Grandma can use it for cooking, cleaning, crafting, sewing, woodwork any job. This Apron is easy to clean and maintain. 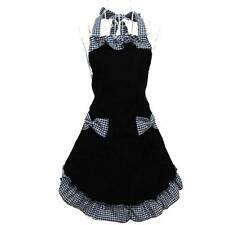 YOU ARE PURCHASING (2) WAITRESS APRONS. 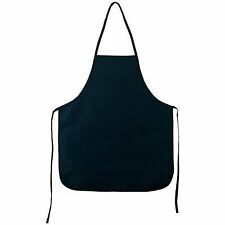 TIRED OF YOUR WAIST APRON FALLING APART AFTER JUST A FEW WASHINGS?. About a decade ago, we decided there was a need for change in the market. We have deeply embedded roots in the textile industry in the US. 5 out of 5 stars - 2 new waitress waiter server 3 pocket waist apron, black 100% commercial grade! 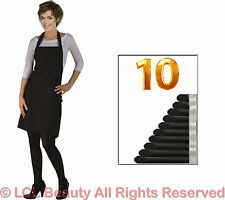 35 product ratings35 product ratings - 2 new waitress waiter server 3 pocket waist apron, black 100% commercial grade! 1 PC Apron. The images are for reference only. Color: Black. 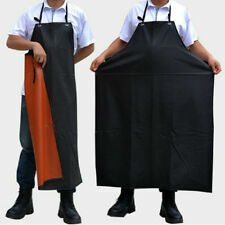 We brings you the most economical and useful apron for less. Features: 3 front pockets. Also, a great choice for gardening, grilling and BBQ. Made from strong and waterproof 600D Oxford Canvas. If there's an issue with your apron, we'll make it right by replacing it or giving your money back. High-Quality washable apron. 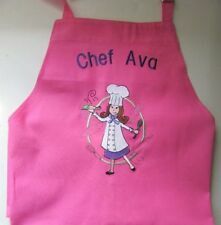 Apron size: 23" x 29". Care instructions: Machine wash warm, tumble dry low, do not bleach, do not iron. Pockets size: 14" x 7". Custom Embroidery Available. BEST DEAL ON THE NET. SHIPS FROM MIAMI USA. Bib width: 31". Removable flower. Due to variations in lighting the colors may appear slightly different than in real life. Length (top of shoulder to hem): 26.25". One size fits most. bodice boning for functional fit.